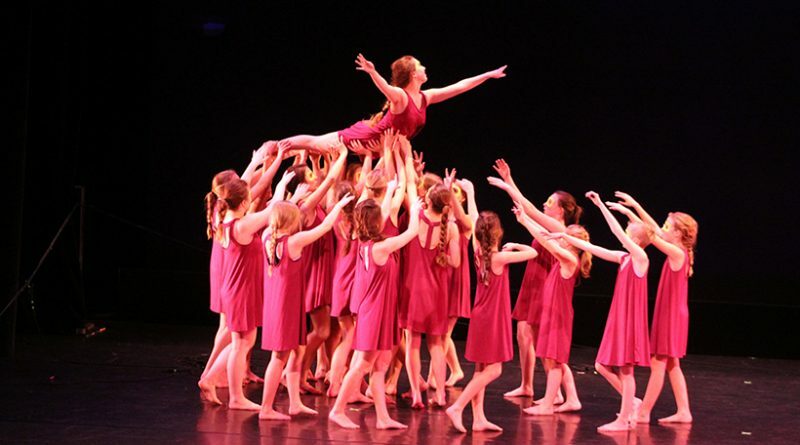 Point Dance Ensemble will present its annual performance on March 2 and 3, with dances choreographed by members of the youth dance company as well as guest artists. The March 2 performance will also include pieces choreographed by company members selected from the Choreography Showcase 2019. The performance features works by guest artists Alyssa Bader, Jenna Dove, Avalon Flatoff, Angie Nyquist, Amy Sutheimer and Marlene Turbin Weldon, performed by the Point Dance Ensemble company. Bader choreographed a modern dance piece ‘Coalesce’. She graduated in 2015 from the University of Minnesota with a degree in dance and is a 2011 alumna of PDE. s. Dove choreographed ‘That Man’, an energetic music theater piece. She graduated from the University of Iowa with degrees in dance and journalism and recently moved to Central Wisconsin after a professional career in Minneapolis, Minn.
Flatoff choreographed a modern dance piece titled ‘Hurt’. She instructs dance at Forthcoming Danspace in Stevens Point. Nyquist choreographed ‘Open Doors to Friendship’ performed by dancers from the Boys & Girls Club of Portage County and PDE company members. She helped create the piece during an after-school program at the Boys & Girls Club in Plover. This piece explores the process of making new friends, especially with those who are particularly different from ourselves. Sutheimer choreographed ‘In the Eye of the Mind’, a modern dance piece. Sutheimer received a BA in Dance from the University of Wisconsin—Milwaukee where she specialized in contemporary dance practices in the modern tradition, somatic body knowledge, and community art. She is a 2014 alumna of PDE. Turbin Wheldon choreographed ‘Dirty Orchestra’ and ‘Garland Waltz’. Weldon recently received the Career and Recognition Award by the Wisconsin Dance Council. Company members for the 2018-2019 performance season include Lydia Baird, Josie Colombe, Alana Culver, Emma Dimler, Victoria Franz, Jaycee Glen, Emily Glodowski, Ellie Hellweg, Dominique Jamison, Kyera Krayecki, Allison Leach, Sydney Mattmiller, Ahlyianna Palbrach, Alida Richards, Ariel Seefelt, Jenna Stolt, Marissa Stolt, Aleyna Thoe, Olivia VanArk, Kennedy VanderLoop, Greta Vollendorf, Payton Vollendorf, Skyler Wachsmuth and Alexius Wanserski. Point Dance Ensemble is a nonprofit dance company that promotes the art of dance in the Central Wisconsin area through educational workshops, performances, and other artistic opportunities. Funding for this event was made possible by the Wisconsin Art Board, the National Endowment for the Arts and the Community Foundation of Central Wisconsin. For more information, contact Pamela Luedtke, Artistic Director, 715-592-4140 or pointdancensemble@gmail.com or online at pointdance.org. The performances are scheduled for Saturday, March 2 at 7:30 p.m. and Sunday, March 3 at 2 p.m. at Sentry Theater, 1800 Northpoint Dr.
Tickets are $12 for adults and $10 for students/seniors, and are available through Central Wisconsin Tickets at 715-498-2339 or CWtickets.com.